Once upon a time there lived a girl. She was beautiful, elegant, and graceful. The girl grew to be a captivating woman who won not only the heart of a prince but love and admiration of the whole world. Prince Charming didn’t pick her up on a white horse but for the past nine years the courtship between commoner, Kate Middleton, and His Royal Highness Prince William of Wales has been a storybook romance. In less than a fortnight they’ll become man and wife and Kate Middleton will become Princess Catherine. The wedding will take place Friday 29 April at 11am BST (6am EDT and 4am MDT) at Westminster Abbey in London, England. Unless you’re one of the 1900 people invited to the royal wedding you can celebrate with Catherine and William by joining the massive street parties are expected to go on throughout the weekend all around Britain. Two billion people are expected to tune in to view the nuptials on telly. I for one plan on waking up very early with Earl Gray tea and a buttery crumpet to celebrate the fairy tale in my own home as the happy couple wed in front of the world. I am a self-proclaimed anglophile, a hopeless romantic, and after having a girlhood crush on HRH, there's no way I'm going to miss this! If watching the royal wedding on television isn’t good enough for you- book a ticket across the pond, take in a royal walking tour and put yourself in the shoes, quite literally, of the royal family. 17 Bruton Street in Mayfair is the birthplace of The Queen. Elizabeth II was born to Prince Albert Duke of York (who later became King George VI) and Elizabeth Boews-Lyon in the apartments of her maternal grandparents on April 21, 1926. Garrard has been the crown jeweler since 1843 and sells a wide range of jewelry and silverware items as well as china, fashion accessories and couture clothing. 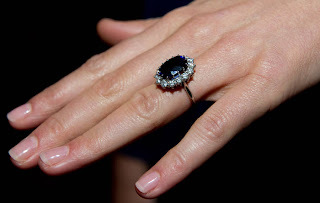 Kate’s engagement ring, purchased here thirty years ago and worn by the late Princess Diana, is fourteen diamonds that encircle a sapphire and is estimated to cost $48,000! Visit the clothing chain’s Dover Street location and see where Kate worked briefly as an accessory buyer. Mahiki Club boasts three miles of rare black bamboo that make up its chic, well-designed interior. This fantastic cocktail bar on Dover Street attracts a hip, fashionable crowd and is a favorite with the royals. Unless your Wills (affectionately dubbed by the British media) or Kate, arrive early and pop in line with the other commoners. The Ritz restaurant is one of the best restaurants in London and a favorite of Will and Kate’s. For £150 per person you can enjoy a Royal Wedding Brunch at the Ritz Restaurant on April 29th from 10:30am to 3:30pm. Large screens will bet set up around the dining room so you won’t miss a minute of the ‘I do’s’. Put yourself in the shoes of royals. John Lobb specializes in the art of Victorian shoe making. John Lobb’s process is still hands-on, providing personal service and making lasts (wooden shoe molds) for the shop's many famous customers including Prince William. Prices start at £2,400 per pair at this exclusive shop. Buckingham Palace has been the royal residence since 1837 and is a must-see tourist spot. Buckingham Palace serves as both the office and London residence of Her Majesty The Queen. It is one of the few working royal palaces remaining in the world today. Don’t miss the Changing of the Guard which takes place daily at 11:30am. Need a silk opera hat or a traditional tweed flat cap? How about a Garden Party hat or a Bohemian Fedora? James Lock of St. James' has been making hats from this cozy little shop since 1676, and has dressed the heads of Admiral Lord Nelson, Jackie Onassis, Frank Sinatra, and, recently, hip young musicians and models. St James's Palace is one of London's oldest palaces. Although no sovereign has resided there for almost two centuries, it has remained the official residence of the Sovereign and the most senior royal palace in the UK. As of 2009 the staffs of Princes William and Harry moved into their own rooms at St. James Palace and began reporting directly to the royal princes, before 2009 they reported to Prince Charles at Clarence House. The Queen's Chapel is a Christian chapel next to St. James’ Palace, built between 1623 and 1625. It is one of the British monarch's personal religious establishments. Kate attended her first solo appearance at The Queen's Chapel for the wedding of The Queen’s cousin, Lady Rose Windsor, in 2008. 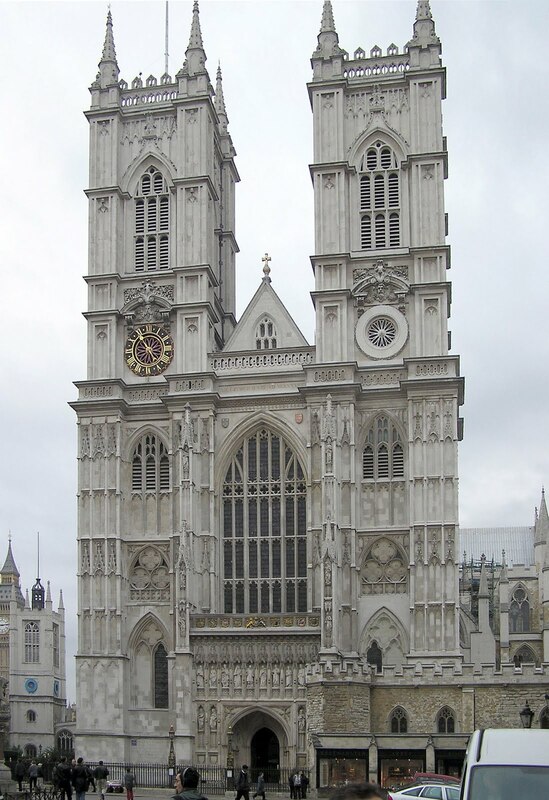 A traditional coronation and burial sight for the English monarch, as well as a venue for royal weddings, 1900 wedding guests will fill this beautiful, 700 year-old gothic building on April 29th as Will and Kate say, ‘I do’. Whether you watch the nuptials on the telly, crowd the London streets hoping for a glimpse of the happy couple or live vicariously through the many royal sights of my Will and Kate walking tour, enjoy the fairy tale. The world has fallen in love with Miss Catherine and her love story. In this day and age of sensational tales of failed royal relationships, the masses hunger for a real life storybook romance. Let down any cynicism and truly believe that this prince and his soon-to-be princess will live happily ever after. I do.